To read more about the benefits of Managed Disks, see Azure Managed Disks Overview. 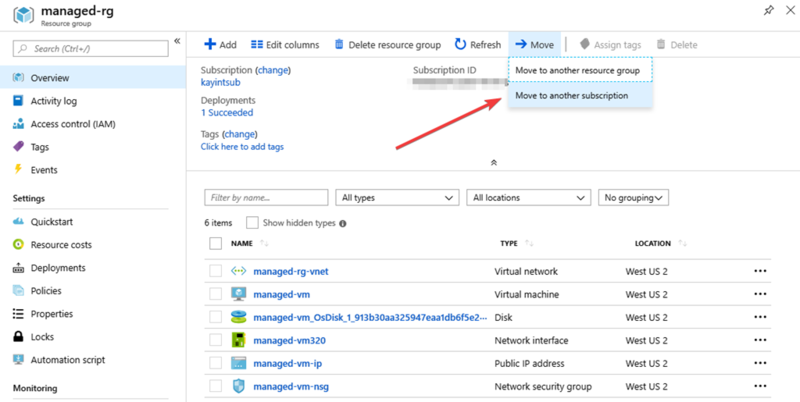 Another feature I’m excited to announce today is the availability of moving Managed Disks and VMs across resource groups and subscriptions with a single click. This also enables you to move Managed Images and Snapshots. To use this capability, you’ll need register for the feature using the PowerShell or CLI instructions below. To learn more about moving resources with PowerShell or CLI, read our documentation. 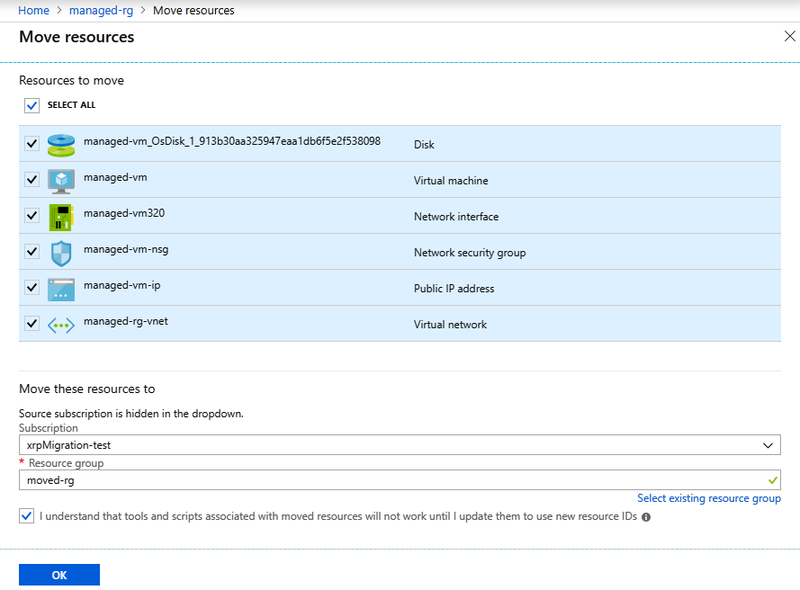 Managed VMs enabled for Azure Backup. You can move such VMs by following these instructions.